Ron and Maggie Tear Photography: Lightning. During the rainy/hurricane season storms frequent every day. I am a fanatic when a storm is about trying to capture nature,s raw power. 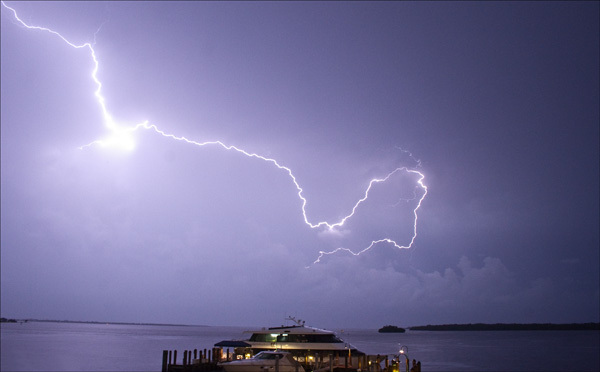 This image was taken in Fort Myers, I kept leaving dinner to capture the ferocity of this storm !